Luangwa Wilderness Lodge lies within Luambe National Park, in eastern Zambia. 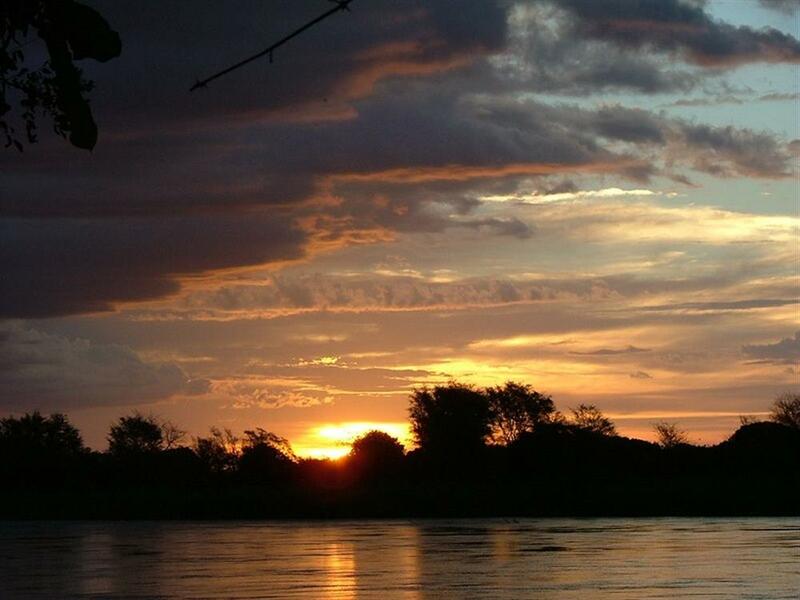 Luambe is cradled on the banks of the Luangwa River in the Luangwa Valley, between the North and South Luangwa National Parks. 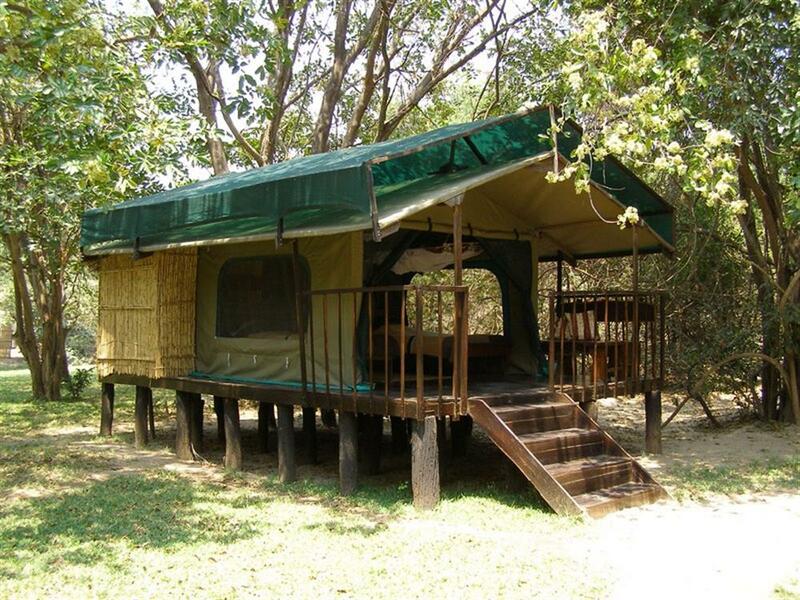 Given that Luangwa Wilderness Lodge is the only lodge in the park, you can make it your own private wilderness. 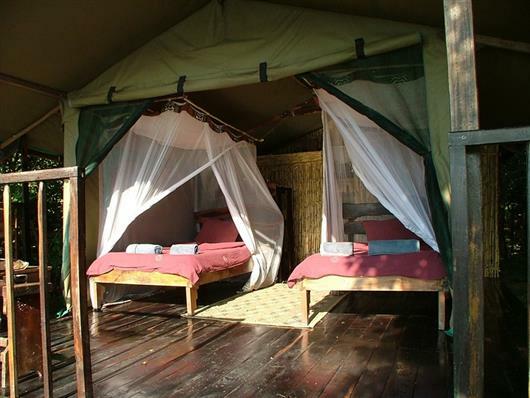 The lodge has five safari-style tents built on wooden platforms overlooking the river. Each has two beds, cupboard space, an en-suite toilet, wash-basin and hot shower. For families, a special 2-bedroom chalet is also available. Guests can relax and enjoy a sundowner and views of hippo and other game from the comfort of their tent. 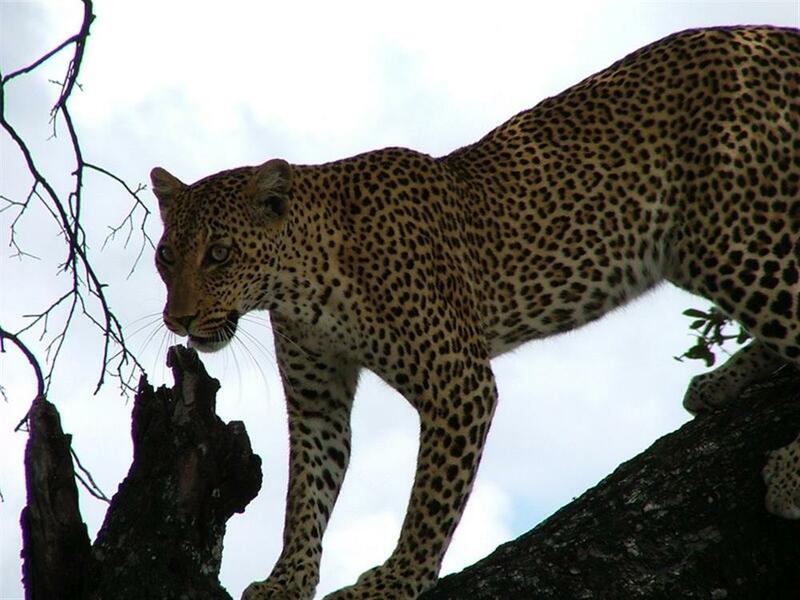 Despite being relatively small compared to the neighbouring national parks, Luambe National Park offers a wide diversity of mammals, birds and reptiles. Luambe also offers differing landscapes - from plains to miombo woodland, from the river frontage to lagoons. 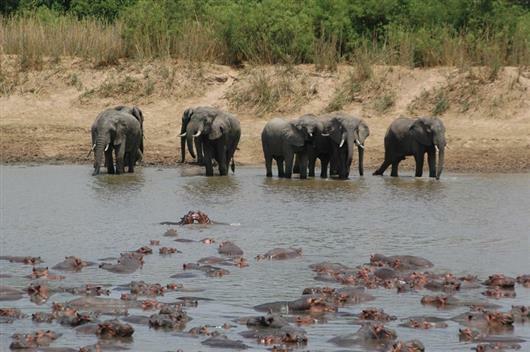 Game drives are a key ingredient to a visit to Luambe. It's home to puku and other antelope such as waterbuck, bushbuck, impala, eland and kudu. 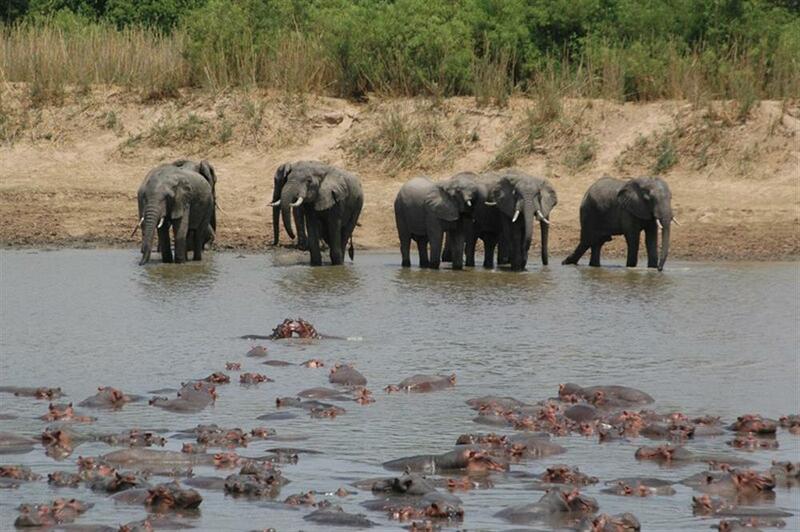 In addition you will find elephant, buffalo, zebra, baboon, lion, hippo and crocodiles. The endemic Cookson`s wildebeest can be spotted and, if you are very lucky, wild dogs. During night drives, many nocturnal animals can be seen, including leopard, hyena, serval, porcupine, scrub hare, civet cat, honey badger and bush baby. 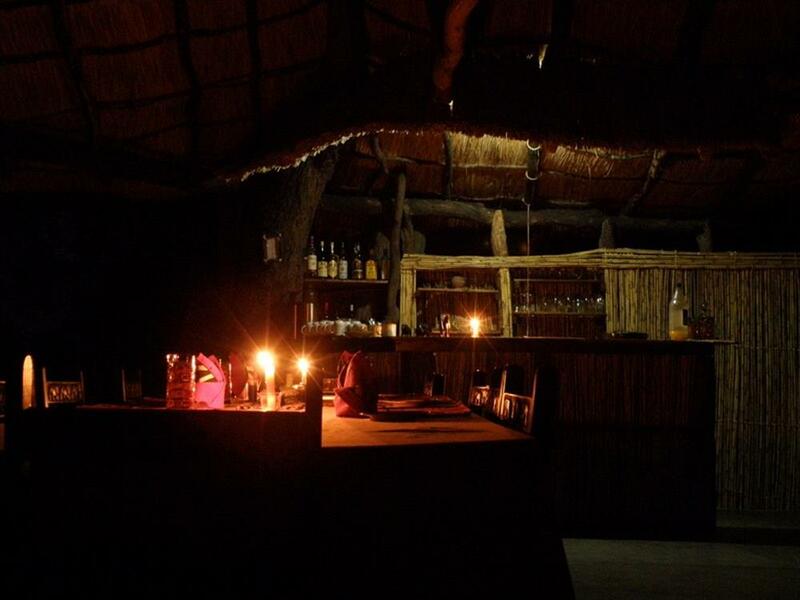 Besides the morning and afternoon game drives in an open 4x4 vehicle, individual night drives or guided game walks are also available. Bird watching is possible during game drives, walks, from a hide or even in the close vicinity of the lodge. The park has many woodland and riverine species, including the African Skimmer, weavers, ducks, cranes, hornbills, fishing owls, falcons, trogons and coloured palm thrushes, making this a bird lover’s paradise. Birders may even have the luck of discovering an endemic species for the first time, such as the Angola pitta seen in Luambe since Summer 2005. Guided walking safaris are a truly unique experience for those who prefer to be as close as possible to the natural environment. The lodge’s local guide is very knowledgeable and enjoys showing this beautiful park to international visitors.